On this site you will find a selection of our exclusive, hand crafted rocking horses and carousel horses, which have been sold all over the world. 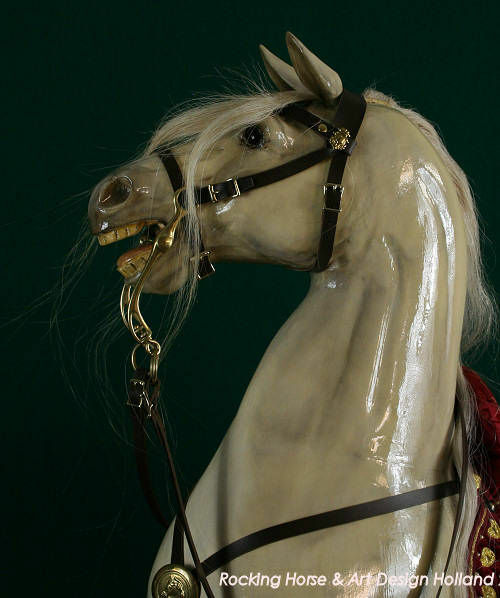 Visit our pages for rocking horse miniatures, antiques, rare collectibles and paintings of horses with a classic touch. These pieces will make a wonderful addition to any home or nursery. Each time, we try to improve our horses and realistic designs even more in creating the utmost 'top' in appearance, personality and colour. To give each horse the utmost attention we can produce only a few horses per year for our customers. We hope you'll enjoy viewing them.